Buffalo Rock provides our customers a host of services inclusive of office coffee services, full line range of beverage and snack vending and catering. Whether large or small, Buffalo Rock can provide you with the equipment and services essential to providing you with preferred beverage and snack choices. The Gadsden Division also operates the Talladega Franchise. 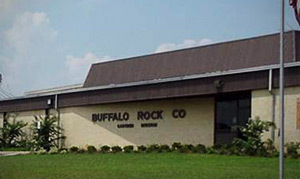 Buffalo Rock Company acquired the Gadsden Pepsi-Cola franchise from Walter Back in July, 1977. This acquisition made it the first franchise purchased outside the Birmingham market. 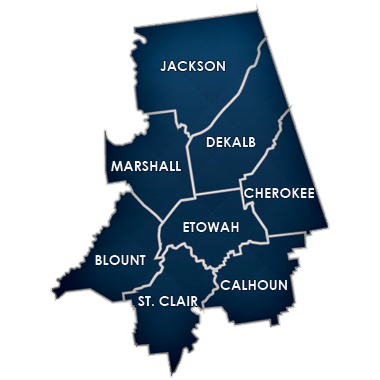 The Gadsden franchise covers the following counties: Cherokee, Dekalb, Etowah, Marshall, and parts of Blount (eastern), Calhoun (northern), Jackson (southern), and St. Clair (northeastern). The Talladega franchise rights were added in September 2006 servicing the counties of Clay, Cleburne, Randolph, Talladega, and parts of Calhoun (southern), Shelby (southern) and St. Clair (southeastern). Our strength is in our people and the diversity of services offered. We provide soft drinks, coffee service, full line vending, cafeteria services, and catering needs for much of northeast Alabama. The Gadsden Division’s team of 180 dedicated employee-partners provides superior products and services to Buffalo Rock customers. The Gadsden Division has received the State Award for Highest Per Cap Sales of Dr Pepper consecutively from 1986 to 2009. The Gadsden Division was awarded the Bobby L. Austin Community Impact Award in 2011 by the Gadsden/Etowah Chamber of Commerce. The purpose of the award is to honor a leader who strives to make a positive impact on the community. This was the first time ever that the award went to a company instead of an individual due, in part, to our community involvement with annual events such as RiverFest, The Chocolate Festival, and The Cobbler Festival. Our support of the American Red Cross during the April 27th tornado clean-up process was also a key factor, in addition to our annual support of many functions of the United Way of Etowah County.